Nearly 21 million Americans are living with substance use disorder, according to the U.S. Surgeon General. That's more than the total number of people living with cancer and more than the population of the state of New York. Three-quarters of those struggling with addiction to alcohol, pain medication, marijuana and other substances are employed. Workers with substance use disorders miss nearly 50% more work days than their peers – up to six weeks annually – and absenteeism leads to losses in productivity. While the Surgeon General reports substance use disorders cost the U.S. economy more than $400 billion a year, employers don't seem to recognize the scope of the problem. In a National Safety Council survey, 39% of employers viewed prescription drug use as a threat to safety and just 24% said it is a problem, even though seven in 10 companies reported issues ranging from absenteeism to overdose. In the NSC report, Prescription Pain Medications: A Fatal Cure for Injured Workers, Rex tells the story of his brother's death. Bill was injured at work. He died at home of an accidental methadone overdose in July 2006. Since then, Rex has worked to focus attention on the dangers associated with taking methadone and other opioids. He pushes for drug policy changes in the workplace because he believes employers can do more to inform and protect their employees. "My brother was injured at work, but he overdosed at home," Rex said. "So, obviously, this isn't a concern isolated to the workplace." Still, he believes employers can do more. "Organizations need to get information out to their employees and help employees understand the gravity of prescription drug use," Rex said. "It's a life or death situation." Let medical professionals know you want to talk about opioids. 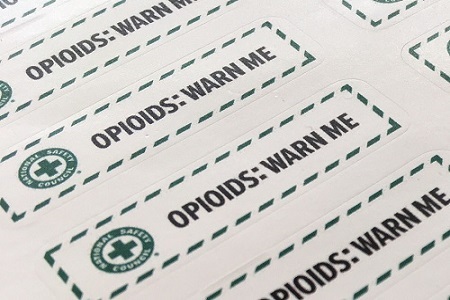 Employee opioid use threatens safety and your bottom line. Doctors are available to talk to other physicians about prescription drug misuse. The mandatory guidelines for federal workplace drug testing were revised. Some private sector employers also use the federal guidelines. Find out what it means for you.